It is now my pleasure to introduce your host, Mr. Jim Mulvihill. Please go ahead. Thanks Michelle and welcome everyone to today’s teleconference. We’re previewing this weekend’s three massively important Road to the Kentucky Derby prep races. Those are the Wood Memorial, the Blue Grass Stakes and the Santa Anita Derby. Each of these Grade 1s are worth 170 points on the Road to the Kentucky Derby leaderboard with 100 points to the respective winners. 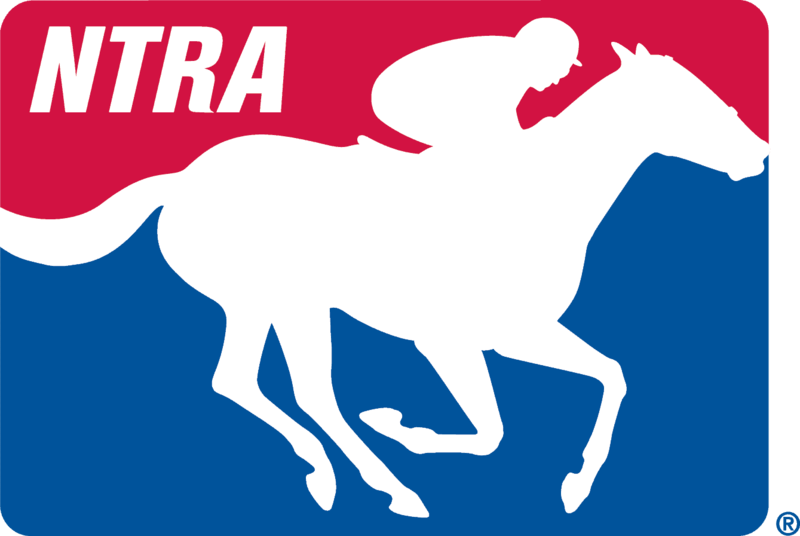 Note that the Wood and the Santa Anita Derby will be part of a two-hour live national broadcast on the NBC Sports network and that’s from 5:00 pm to 7:00 pm Eastern on Saturday. Now, also note that the last four major Road to the Kentucky Oaks preps for the 3-year-old fillies are all this Saturday. Four key stakes in the same division including two Grade 1s, all on the same afternoon. That’s the Gazelle, the Ashland, the Fantasy and the Santa Anita Oaks. The last of those, the Santa Anita Oaks, will feature the unbeaten Kentucky Oaks favorite Songbird. She’s just been so sensational and such a story in her own right that we wanted her represented on this call, so later on we’re going to talk to Hall of Fame jockey Mike Smith. He rides Songbird, as well as Danzing Candy in the Santa Anita Derby. We’ll also talk to trainer Chad Brown. He’s got three Derby prospects expected to start this weekend including the likely favorite for the Wood in Shagaf. But first, we’re delighted to be joined by trainer Dale Romans who’s going to saddle Brody’s Cause and also possibly Cherry Wine in Saturday’s Toyota Blue Grass. Just a short while ago Brody’s Cause drew Post 6 and was assigned morning line odds of 4-to-1, while Cherry Wine got Post 3 and is 12-to-1. We also want to mention that last weekend Dale won the Gulfstream Park Oaks with Go Maggie Go who’s now earned a shot at the Kentucky Oaks, so we’ll ask about that too. Dale, it’s Jim Mulvihill here. Thanks for joining us. You got it. We always appreciate when you’re able to come on and share some time with us. First, I just want to clarify the status of Cherry Wine, if you don’t mind. You had talked about entering both the Blue Grass and the Wood, entries for which will be taken tomorrow. So, is the plan still to enter the Wood tomorrow and then size up the field? Well, it’s a good post. I’m not sure that I’ll enter but I will definitely monitor the race and see how many they’re getting and which horses are going to run in it. I see. So it was really more about making sure that you didn’t get a bad post in the Blue Grass. Well, I didn’t want to get a bad post but also we got such a good post that we might just stay where we are. But, there’s a good chance that we’re going to enter anyway but I will be monitoring the race to make sure that—It’s an important decision. We don’t have enough points right now to get in with the fourth place finish in the Rebel, so points are in play and then even though I don’t think it’s going to take that many this year but still we’ll look. The biggest problem with the Blue Grass is 14 horses and a horse that comes from behind, there’s a lot of things that can go wrong, and if it’s a shorter field left at Aqueduct, a much shorter field, then we might decide to change. I see. Very good. Just so we know, when you do enter up in New York, who would you be naming to ride if you were to run up there? Well, that’s another issue. That’s another problem. I mean Junior Alvarado I think is available; if he’s still available by tomorrow then he would be the one we would probably name on it. Very good. All right. Thanks for that info, Dale. Now let’s talk about Brody’s Cause. As we said through the 6-hole for the Blue Grass. Perhaps more importantly though there’s a lot of speed in that race. It’s a full field. A lot of horses on paper look like they’ll be wanting the leads, so just tell us how you feel about Brody’s Cause on Saturday. Brody’s training like a monster. I just don’t—I can’t explain the Tampa race. He just didn’t run well. He was training good going into it but I’ve never had a horse training good going into a race, run so poorly and come out of the race training better than he did going in. Maybe he’s just the type of horse that needs to race. First time out I thought he would win and he ran terribly. He ran dead last and then came back and won two in a row and was starting the Breeders Cup. Hopefully he’s just a horse that needs to trip. Subsequent since that Tampa race, just working at Gulfstream, have you seen any change? I mean he was doing good going into that race but how about the last few weeks since then? He was doing good going into it but I swear he looks like he’s gotten stronger after the race. Like the race did him some good and the work Saturday was just as good as any horse could possibly work. Very good. Well, we’re happy to hear that. Dale, let me check with the media and see if they have any questions for you. Michelle, you want to check with our folks on the line? Our first question comes from Danny Brewer of HorseRacingScoop.com. Please go ahead. Hey Dale, how’s it going, man? Good, Danny. I knew you would be on here. There you go. It’s my chance to talk to the top trainer in the state of Kentucky, man. You knew I wouldn’t miss that. Yeah, that’s amazing what a good reporter Tennessee has without having thoroughbred racing. Yeah. So, you’re a Kentucky guy. Is it important—is that one of the reasons why you chose to put Brody’s Cause in the Blue Grass, because of the history and it’s your state and he runs well there? I mean what went into choosing the Blue Grass for him? That race was pretty much a no-brainer with a third in Breeders Cup and the winning a Grade 1 over that surface. I mean we decided to make that his last prep regardless of what happened in Tampa and we wanted the Derby to be his third start off of a little layoff and felt we’d have a fresh horse all the way through the Triple Crown if we happen to be successful. He seems to be a horse that’s got a big move. Is that something that you consciously have tried to develop, or is that just Brody being Brody? No, that’s just him. We just try to let horses be what they want to be. You know, when you first start them out you can tell some of them are precocious and they want to come away from there running, but Brody’s a big old horse, a big long-striding colt, but when he accelerates like he did in the Futurity, and like he did in the Breeders Cup, I mean he covers a lot of ground and makes up a lot of lengths quickly. The big field, is that good as far as building block for him, for getting ready for Churchill, or is that not anything to really think about? Well, if he’s successful and go on and win it I’ll say it was a great thing, but going into it (inaudible) seven or eight. But there are a lot of opportunities for problems. Like I said with Cherry Wine, I’ve got two horses in the same race that are both going to be trying to do the same thing, coming from behind, and there’s a lot of opportunity to get in trouble with a 14-horse field. Dale, I’m sure you’ll have him right. Appreciate your time and I wish you the best of luck. Thanks, Dan. See you there. Thank you. The next question comes from Jennie Rees, Horse Racing Radio Network. Please go ahead. Hey Dale. You said Brody’s Cause has been training like a monster. If there’s only two preps for the Kentucky Derby, do you have concerns that you didn’t do enough in the Tampa Bay Derby to get what you want to get out of him going to the next race? There’s always (inaudible) and you just don’t know. I could not figure out a reason why he ran so poorly. Hopefully he’s going to jump up and run like the old Brody and run big in the Blue Grass. I think that’s enough. One thing about running over that Tampa racetrack, it’s one of the reasons we picked it. It’ll help tighten a horse up. I mean it’s a good racetrack. It’s a little different than a lot of them. A lot of horses don’t like it, but whatever. It’s safe and it should get him plenty fit in tight races, Blue Grass and that should be enough going into the Derby. He ended up not (inaudible) as a 2-year-old with four start. Yes. You told me the other day that if you could get a horse owned by Frank Jones to the Derby it would be like the highlight of your career. You’ve won the Breeders’ Cup races, the Preakness, Dubai World Cup. Could you just elaborate on that? That’s quite the statement. Well, Frank, people might not know the relationship the two of us have. I mean he was around when I was born. I was just looking at one picture the other day in 1968 with him and my father and my mother standing there and the jockey is holding my brother and myself on the horse. Frank, in 50-something years of owning horses had two trainers, my father and me, and he doesn’t have any kids and he’s been like a—my father died fairly young. He’s been like a father to me my whole life. He loves horse racing. He’s done so much for racing in Kentucky. If we could just get him to the Kentucky Derby it would be great, and if we could actually get him into the inside Winner’s Circle, that would be enough. The rest of my career would just be the cherry on top. Does that add any pressure with making this decision on where to run him because you really, really want to get this horse to the Kentucky Derby? Well, I don’t know that you can add pressure to trying to get a horse to the Derby no matter who it is, but I don’t think the pressure is any more but I think the victory might be a little more sweet if we could do it. Because nobody deserves to go to the Derby than Frank Jones. Speaking of three owners, three very successful businessmen that live in three different cities, can you talk about how the partnership came together? Well, you mean with the two different horses or all on with Cherry Wine? I’m talking about Cherry Wine. With Cherry Wine, Frank Shoop and Frank Jones were always friends and I’ll tell you Cherry Wine’s whole story of his pedigree is pretty interesting. I bought his grand-dam off of a maiden second place finisher here at (inaudible). She ended up being a very nice horse for us. She was third in the Oaks and she was—we bred her and pulled out Cherry Wine’s mother, was raised in the back yard on my farm and we ran her through the rings around the Key and I bought her for Frank Jones and Shoop and the Pacellas. They were all great clients of mine. We paid quite a bit of money for her. She was a solid allowance horse. We turned around and bred her on my farm and Paddy O’Prado was training and came up with Cherry Wine and he was raised in the back yard. He’s like my son almost. Thank you. The next question comes from Ron Flatterer of RSN Australia. Please go ahead. Dale, just looking over the point standings for the Derby and Brody’s Cause and Airoforce have won points preps and they’re not in. Tom’s Ready and Majesto only have maiden wins and they are. Do you have a problem with that system? Very good day, mate. Yeah, I don’t like—I had no problem with the old system. The greatest stakes, I didn’t see a problem with that. I never saw a horse that didn’t get in that belonged. Only one I think even came close was Rock Hard Ten. I think it was just a matter of Churchill wanted to develop a system that gave them more power and control over everybody else’s races. I mean we could parlay that into the fact that the Illinois Derby is not included. I mean would you want to see them back in the mix as far as being able to qualify, and also there’s that prep for the Tampa Bay Derby that comes right before that down in Tampa? Finally, could you clarify the context of your interview with the South China Morning Post? I know you addressed some of it but what—were you misquoted or taken out of context? What was the deal there? Very much misquoted and taken out of context. I never criticized American racing in any way, never would. When the guy asked me about would I go, I said, “Sure, I’d go.” People have to remember there’s only 12 spots and it’s like being nominated for the Supreme Court. It’s that big a deal. They make a lot of money. And it would never happen; it was such a hypothetical question. Then when he comes back and asks me what about the tighter medication policy, I said I would like that. I said it would be a challenge to my (inaudible) to try something new at this stage in my life, and that was the end of the conversation. Then the firestorm it started over here was ridiculous. Anybody who knows me and follows me, or a reporter, I mean those weren’t my words and they know how I feel about American racing. Maybe I can go over to Hong Kong and convince them they needed (inaudible) over there? Very good. All right. Thanks Dale. Good luck. Thank you. Once again ladies and gentlemen, if you do have a question, please press star, one at this time. The next question comes from Tim Wilkin of Albany Times-Union. Please go ahead. Hey Dale, I just got on a little late. Could you tell me what is going to go into your decision if Cherry Wine stays in Kentucky or goes to New York? First of all, I want to narc on you and tell everybody Tim called me earlier today to get a little pre-interview before the interview. And you already know the answer to that question because you asked me about it two hours ago. I want to ask it again. The draw went well for us, Tim. We drew the 3-hole and that was one of the big concerns if we drew the 14-hole then we’d probably be heading to New York already. But we’ve drawn such a good post position and we’ll—I don’t know that I’ll go ahead and enter now in the Wood but I’ll definitely monitor and see what’s shaping up and if we need to enter or not. How would you compare these two horses? Brody’s a lot more accomplished. I mean he’s—like I was telling you earlier, he’s a prototype Derby horse. He’s already won a Grade 1. He’s already got enough points (inaudible) and he loves Keeneland. He’s already proven that. It’s a no-brainer where he needs to make his last prep. Cherry Wine, the horse is just really rounding into form. He’s had two great races back to back, his maiden win and his Gulfstream allowance, and then there’s the Rebel. I tell you he was sneaky good. Everybody should go back and watch it if you aren’t confident enough and you’re going to see how well he actually ran in a 14-horse field from the 13-hole. He got bumped around, split horses, and was running at the end. He’s got that style. They’re a little bit different but their running styles are basically the same. Have you been monitoring all the other Derby preps yourself? Watching them? You know, I don’t pay a lot of attention to other people’s horses. I try just to train mine and focus on what’s going on with mine and it always comes down to where we’re going to go with one of these horses, I mean I want to handicap both races very well and see which one makes the most sense. But a lot of it has to do more with the field than the race. All Grade 1s are going to have a lot of talent. All right, Tim. You can call anytime. Thank you. The next question comes from Pia Catton of the Wall Street Journal. Please go ahead. Hi Dale. I wonder if you could talk about the Albaughs a little bit? When did you start working with them? How did you meet them, and how many horses do you have with them? The Albaughs were part of the original group. They’re from Des Moines, Iowa and Dennis is one of the most successful businessmen in the country. He started a fertilizer business with I think a couple of thousand dollars; it’s worth billions of dollars today. He owned part of Paddy O’Prado. He’s had a horse or two beforehand but that’s how I got to know him and he decided just to buy his own horses and I think we’ve got five in training right now and about eight yearlings this year that are being broken in, in Florida, eight or ten that are being broked in there. He’s got this horse and Unbridled Outlaw that are both nice horses on the Derby Trail. Hi Dale. It’s Lynn Snierson. How are you? I also too had jumped on a few minutes late so I’m just curious if Unbridled Outlaw is still on the Arkansas Derby trail? Yes. He’ll run—as long as he works well Saturday, he’ll run in the Arkansas Derby and, you know, that last race he ran in the Rebel was, I think he ran a quarter of a point slower than the Rebel winner and if he goes back and improves at all, he’ll run big in the Arkansas Derby and maybe buy himself a ticket to the Kentucky Derby. He’s a good horse. Yes. He looked really good that day. I mean he was—I thought that race was particularly strong the way he finished up. Yes, he did. Ideally I wouldn’t have run him against three and up but I wanted to get a race over the track and run that time, and I was proud of what he ran. He got beat by an older horse. It could be anything to it and they were both drawing away from the field. Thank you. The next question comes from Tom Jicha of HorseRaceInsider. Please go ahead. Hi Dale. I know you were there last Saturday. What was your impression of the Florida Derby and what does it do to the big picture for the Kentucky Derby? I think it solidifies our favorite going into it. An unbeaten 2-year-old champion going to the Kentucky Derby since 1977 since that happened and it worked out pretty well for him. I don’t think that those horses gets all the credit he deserves but he’s a darn good horse, regardless of what happens for the rest of his career, he’s been a hell of a horse. Do you think Mohaymen, that race was just a toss or is he—if he was yours what would you be doing now to find out what went wrong? I’ve never trained another man’s horse but I know that he’s in good hands and they’ll figure it out. I mean he didn’t have the best trip, and carrying him wide at the first turn and stumbling out of the gate (inaudible). Kiaran will have him ready come Derby Day. All right, Dale. We pretty well covered the colts so before we let you go I just wanted to ask about Go Maggie Go, how she came back from the Gulfstream Oaks and also just how she fits into this 3-year-old filly division that’s got so much talent right now. Yes, Maggie’s a nice horse. I told somebody at the end of the day it might be a bad year to have a good 3-year-old filly. But it’s good, it’s a good strong bunch of fillies and it’ll be interesting at Oaks. The Oaks is the local people’s derby day really because most of the locals come out Friday and let the tourists come on Saturday. It’ll be a big deal for me to run that day and run big and if we could have an Oaks winner, but I’ll tell you what, this is a good group of 3-year-old fillies. But yours could potentially be right up there with them. I mean how impressive was it to go from a maiden to winning the Gulfstream Oaks? That was impressive and it was done in a short time but it’s I think a bigger jump to step up and run with Songbird. Like I said before, I believe the connection to Songbird should really consider sending her to the Derby and get some points for the Kentucky Derby and leave us alone (inaudible). Exactly. Well Dale, thank you very much. (cross-talking) Kiaran’s horse but I’ll help Jerry a little bit. Right. No, Songbird is one that definitely doesn’t need any help right now. But Dale, thank you so much for all this information today and best of luck this weekend. Great. It’s always fun. Thanks for having me. All right. Dale Romans, he’s got two this weekend running in Road to the Derby preps as well as Unbridled Outlaw the following weekend pointing to the Arkansas Derby. Lots of great stuff on Frank Jones and Cherry Wine’s background. We always appreciate Dale’s insight. Now we’re going to check with another horseman who’s got a busy weekend ahead of him and that’s Chad Brown. Chad’s the second leading trainer in North America by earnings in each of the last two years. He’s developed one of the most successful operations in racing and if you’ve seen his success in the Breeders Cup the last two years and watching him win 28 Grade 1s since 2011, you’ve pretty much had to figure that it was only a matter of time until he became a major player on the Triple Crown scene as well. Now he’s here with three starters in Derby preps this weekend, led by the Gotham winner Shagaf heading to Wood Memorial. He also has the Jerome winner Flexibility in there, and back here in Lexington he’ll try the maiden winner My Man Sam in the Blue Grass. Now, let’s bring in Chad Brown. Chad, it’s Jim Mulvihill of the NTRA. Thanks for joining us. It’s our pleasure. So glad to get some time with you, especially with three horses loaded with potential this weekend to talk about. Let’s start with Shagaf. He’s really done nothing wrong to this point but the horses in Florida and California tend to get most of the attention. So just your opinion on between say his pedigree, the way he’s performed, why isn’t Shagaf in the top 3 on everybody’s Derby contender list? I think the main reason is his speed figures haven’t been super impressive or really fast, but the horse hasn’t done anything wrong. I mean he’s undefeated. He’s a big, beautiful well-bred horse and he’s proven to have a tremendous amount of stamina. I think everyone will agree that it looks like longer the better will be better for him. He never runs shorter than a mile. But I think it comes down to speed figures and the faster horses are going to garner most of the attention. Very good. Your two Wood contenders here, looking at the PPs, they had identical workouts on April 2nd so, did they work together that morning? They did, their final workout. Flexibility worked with Shagaf. They went an easy half a mile together and both horses breezed very well. What are you able to find out when you put your top two 3-year-olds together in company? What can you see when they go head to head like that? Well at this point it’s just maintenance for those two horses. I’m just looking at how they’re moving mechanically and from a soundness standpoint. They weren’t asked one to beat the other one. They were instructed to stay together which they did. They were both capable of doing that easily and at this point it’s just maintenance for those horses. Very good. Well Chad, hang on the line for a second and I’m going to ask our operator Michelle to check with the folks from the media on the line and see if they have questions for you. Our first question comes from Tim Wilkin of Albany Times-Union. Please go ahead. Hey Chad, it’s not secret the success you have had in the game, not as much though with the 3-year-olds, how exciting is it for you to have two possibly three horses that could be on target to run the first Saturday in May? Well, it’s very exciting. It’s definitely an area we want to become a major player in. I think it’s just a matter of time if me and my staff’s given the opportunity to work with these young dirt horses that we’ll be able to get them to these Triple Crown races, like we’re seeing that now. These are three very capable horses if they perform well in their prep races to show up on the first Saturday in May and run very well. Ideally it’s not something you probably want to do is run them against each other. Is it a difficult decision when you put two of them in the same race as the caliber of the Wood Memorial? It is. Good question. It’s no ideal but when you get right down close to the Derby or even close to your target race, even if it’s a Breeders Cup race, we’ve had this issue before where there’s only so many suitable prep races for certain groups of horses, particularly in a regional situation where I don’t want to be shipping too far the last race before their target race. So, it really takes out of play the races that are available to you, if you’re only interested in shipping so far to get to these races. So sometimes we’ll have to run these horses against each other and all we can do as a staff is prepare them the best we can and enter them and hopefully the race is run fairly and the horses run to the best of their ability. In Shagaf’s case, obviously he’s a horse that I would assume is still learning the game. Is he still got a lot of room to grow? I believe so. He’s already made a lot of progress from when he broke his maiden last year until now, both mentally and physically, and I do see a lot of room for further improvement. He’s an exciting horse, and like I said earlier, he hasn’t done anything wrong yet. Hopefully he continues to develop. Thank you. The next question comes from Tom Pedulla of America’s Best Racing. Please go ahead. Hey Chad, do you feel pressure personally to get horses to the Derby and maybe especially a horse of the breeding and quality of Shagaf? No. Luckily I train for a wonderful group of clients including Shadwell that I don’t have any clients that when they handed me a horse, particularly a young, well-bred dirt prospect, and said, “Hey, you’re expected to get to the Derby.” It’s nice. It’s something that if a horse puts us in that direction I’m going to give him every chance to get there, but I’m more about the entire career of the horse and if the opportunity presents itself, like I said, to enter these prep races and get to the Derby, it’s a race me and my staff would love to win and a lot of my clients would love to win and we’re going to try to get there but not at any cost to the horses. We’re looking at the long term here, not only all the other great 3-year-old races the rest of the year but the entire career of the horse. We’ve got a lot of older horses in our barn that are racing at a top level and it’s part of the whole program. So, no, I don’t feel any pressure. Okay. Then just as a follow-up if I might ask you about Flexibility; you backed off a bit. Could you just talk about that? Yes. That horse, we had always planned on giving him that break that you see in between the Withers and the Wood. It was always the plan. When we committed to leaving the horse in the New York Division for the winter, those are all the races that we targeted with that horse. Unfortunately, it looks like the Withers was just one race too many with not enough spacing where the horse reacted a bit and needed a little bit of time. Even if he had won that race he was still going to have the same break and use the Wood as his first race off a mini-break and hopefully get into the Derby with the Derby as second race off a short layoff. Do you see signs that he is rebounding? I do. His energy level is terrific. I thought enough of him this last week to put him in company with Shagaf, albeit it was just a maintenance drill but he stayed against Shagaf in hand. They look like mirror images going by, so I’d have to say that’s a great sign that the horse is fully rebounded and his energy level is terrific. He’ll have his work cut out for him, both horses will because the Wood will be both their toughest races to date, but I’m real happy with the way Flexibility is coming into the race. Thank you. The next question comes from Danny Brewer of Horseracingscoop.com. Please go ahead. Chad, how we doing today, man? Good, sir. How are you? Quite well, thank you. Okay, let’s talk about My Man Sam. A big step up for him when you’re talking about Grade 1 Blue Grass. Obviously you think he’s ready? I do. This horse is training terrific. He’s been a late bloomer but as soon as we got to swish around two turns, his two 2-turn races have been terrific. He’s running fast on numbers and he acts like a horse that has more room to improve. I’m obviously very disappointed with the post-position draw just happened a couple of hours ago and he drew the 14-hole. It’s very disappointing. He’s going to have his work cut out for him there. But he’s an exciting horse and I don’t think added distance will be a problem for him. Thank you. The next question comes from David Grening of Daily Racing Form. Please go ahead. Hey Chad, how confident are you with Flexibility’s ability to get a mile and an eighth? What did he show you in the Remsen and what does he need to show you Saturday that, to move on? That’s a good question. I thought his race in the Remsen in a mile against Mohaymen was very good and lost a little bit of ground in the race and still fought on bravely. That was a big decision in running in the Wood for this horse. He ran so well on the outer track at Aqueduct, I didn’t feel it made much sense to take him on the road, having that really solid performance in the Remsen under his belt already. I feel confident he can get a mile and an eighth. He had been I believe training with Majestic Affair for the Carter and just your thoughts on the quarter with that horse? Majestic Affair seems to be coming into the Carter in good shape. We’ve had a little bit of a break since his race in the De Francis. He seems to be in great form right now. Looks like a real solid race but I think Majestic Affair’s really peaking right now in terms of—I’m noticing this horse and he’s matured, he’s a different horse than when he was younger. I see a higher quality animal in front of me now. Thank you. Once again, ladies and gentlemen, if you do have a question please press star, one at this time. The next question comes from Amy Zimmerman of NBC Sports. Please go ahead. Hey Chad, I just was curious. Given your concern about Shagaf’s quirkiness, if he gets past the test in the Wood, how confident or concerned are you about him surviving the circus that can be Kentucky Derby Day? Yes, that’s a really good question. Well our plan is if he’s able to continue on and run good in the Wood and come out of there healthy that we’ll get him to Churchill early and I’ll have two works over the track and he’ll have plenty of schooling. I’m optimistic with the progress he’s made, particularly in the last 30 days with little things about him and me and my staff and the gate crew and the vanning companies, all working with this horse, to spend time with him schooling him. He’s made great progress, so he’s a smart horse. I would anticipate him schooling and adapting well to Churchill with no guarantees. Thank you. The next question comes from Ed McNamara of Newsday. Please go ahead. Hi Chad. Your mentor was the great Bobby Frankel and I was just wondering what were the most important things that you learned from your time working for him. Wow, there’s so many things I learned from him. Patience, be patient with the horses. He’s also terrific at making adjustments. Your training horses every day, so many things can go wrong. You set a plan and oftentimes things don’t go to plan in your training sessions or the health of the horses or weather, or anything. As I observed him and I worked under him, he just had a way of he might get upset but he could switch gears on the go and through his experience make good adjustments. I try to do that myself. I’m still learning. I’m getting better at it but, patience, making adjustments. Being honest with what you see on the track; he never really lied to himself. He saw something and he acknowledged it and he tried to fix it. He didn’t try to make himself believe he saw something that he didn’t, and I think that was a huge part of his success, in my opinion. All right. Chad, I do want to talk about the filly a little bit. You know, Lewis Bay already has a spot in the Oaks most likely and ran into Cathryn Sophia last time. Just tell us a little bit what you’re looking for this weekend in the Gazelle. I’m excited to get her back around two turns. After the Demoiselle win we planned on giving her a little break and planned on only running her one time since Florida, so she hit her mark perfect to what we wanted her to do. She gets to run on the outer track of Aqueduct again where she’s already won a graded stake and sets out in distance. I’m looking for a step forward and then hopefully go on to the Oaks, continuing to improve and her third race of the year hopefully be her best. Very good. Well Chad, thanks for all the great info today and we wish you luck this weekend. It’s our pleasure. Any time. Chad Brown, who’s going to saddle Shagaf, the likely favorite in the Wood on Saturday as well as Flexibility. That brings us to our final guest now and that’s going to be the Hall of Fame jockey Mike Smith. He’s won a Kentucky Derby, a Preakness, and two Belmonts. He’s the all-time leading Breeders Cup rider with 22 wins and of course he’s ridden some of the great females of all time between Zenyatta, Azeri, Royal Delta and now he’s the regular rider of Songbird, who could one day be in that class. She’ll be odds on in the Santa Anita Oaks this Saturday, and also on that card of course he’ll ride Danzing Candy, the San Felipe winner in the Santa Anita Derby. So now, let’s check in with Mike Smith. Mike, it’s Jim Mulvihill in Lexington. You there? Jim, how are you? Yes, sir. How are you doing? I’m doing great. We’re so happy to have you on with us again. There’s so much to talk about with Songbird and I’m sure some of these questions you’ve already been asked a million times but we just want to start in the most obvious place. So, just tell us how good you think Songbird really is. Well, I don’t think we’ve gotten to see how good she is yet to be honest with you. I mean up to this far I would have to say she’s probably the most prominent 3-year-old I’ve ever been on at this early age. I mean a lot of the great mares that I was blessed to have ridden earlier in my career really didn’t have the career that she had at three. A lot of them didn’t get good until they were four and so on. So I would say right now she ranks up above them as a 3-year-old anyway. That’s impressive in its own right with all the good 3-year-olds you’ve been on and you did qualify that with 3-year-old filly. You’re talking about 3-year-olds of either gender. Yes. I mean she’s—I would have to say that’s including the boys as well. I just don’t think I’ve seen a 3-year-old that’s been so dominant like this. I’ve been on 3-year-olds that had a good winning streak of five, six, seven, eight-race winning streak but I don’t think any of them have been as dominant as she has been, you know? Very interesting. You were aboard for this work yesterday where she basically looked she loped around there but the final time was a bullet and 46 and 4. Tell us what that felt like. I was out in I would say the six or seventh pass just trying to get her to relax, which she was, and just cruise around there nice happy half just to pump a little air in her and I mean she just did that with tremendous ease. I let up, I couldn’t believe it when I came back and they told me the number. I was like, “Whew!” She’ll make a guy who thinks he has a clock in his head not know what time it is at all. Well, that’s saying something from you, Mike. Let me just turn it over to the media and see what they’ve got for you. Michelle? Thank you. Ladies and gentlemen, if you have a question, please press star, one on your touch-tone phone at this time. Our first question comes from Art Wilson of Southern California Newspaper Group. Please go ahead. Both the trainers of your two horses you’re going to be riding Saturday, Danzing Candy and Songbird, both of those horses for all their wins they’ve virtually gone gate-to-wire, but both of the trainers have said that they didn’t think that their horses needed the lead, that if somebody went out there crazy with fractions that they could lay off and kind of set off the pace. Do you agree with that? Yeah, we do it in the mornings quite a bit actually. Most of the time when they do work with the company every time it’s usually starting out about four to five to six to seven lengths behind their company, which we’ve done with both, and it’s pretty much the same outcome. You know, it’s not that they need the lead. I’ve been waiting all along for someone to get in front of Songbird, to be honest with you, but she’s just—I help her out of there just a little bit and she’s just got that natural high cruising speed that it puts her where it puts her and that’s where she’s comfortable. If someone wanted to go faster than that, they could certainly go in front of her. I don’t think she would mind it and try and space—I would like to say the same about Danzing Candy, although the difference between the two is I’ve been putting Danzing Candy on the lead whereas Songbird has just been, she’s just been taking me there. Now, I’m saying that, depending on what we draw with Danzing Candy, if someone was that high on being in front I don’t think it would be a problem. Right. Looking at both of their PPs, it’s safe to assume you haven’t nearly gotten to the bottom of either one them. Yeah. Well, I would say the last time with Danzing’s run I rode him for a little ways just to get him on my—I certainly didn’t want to be idling at the 8-pole or something waiting for more spirit to come running because he’s got such a powerful late kick that I wanted to really get him going forward before I put hands down, and I would say the last 100 yards I pretty much felt that I had the race under control and was able to give him a little breather the last part of it. Lastly, is there any doubt in your mind that Songbird could beat the boys? Well, I—you just don’t ever know until you do it but I haven’t—I don’t think she’d have a problem with to be honest with you. Okay. Best of luck to you on Saturday, Mike. I’m doing well, thank you Danny. On Songbird is one of the ways that you know she’s so good is because it just seems to come so easy to her? Everything she does is that way, I mean so much so that even in the beginning when you first get on her you’re not really sure because it’s just awful easy. It seems like you’re just kind of going around there but you run her in a race or you put her up against a horse during the work and what comes to really easy seems not to to the other horse. They’re having to work at keeping that pace whereas that’s where she’s happy and that’s where she’s comfortable. I can remember I think early on in her career when she won, I think it was second time out when she won the Del Mar Oaks running against that filly of Baffert’s that was a really quick filly, a really good filly. We were going half-way down the back side and I mean Songbird was just in a beautiful nice lope, pricking her ears, and I looked over to the filly next to me and they were all, I wouldn’t say in distress but they’re having a—you could tell they’re having to work to keep pace. That’s when I knew, the second time out, this could be something really special here. So with her is your job more passenger and less pilot? Or early pilot and late passenger? What do you think? It really just depends. At times I have to help her out of the gate. Early on in her career she wanted to be a bit aggressive. We’ve got her now to where she’s really nice and happy and comfortable. Jerry’s done a great job of getting her ready for these races and the boy that gets on her in the mornings has done a really good job of teaching her to relax. Yet as relaxed and as cool and as calm as she is in the morning, when she comes over in the afternoon she just has that just enough edge to her where you feel confident that she’s going to fire. You ain’t going to see her out there hanging her head or just kind of walking around. I mean she gets a little dance to her step and you can tell her game face is on. I really like that part about her. She seems to turn it on just enough and not get too hot. At times in the afternoon as you well know, a horse can kind of tip over the edge a little bit and get a little too warm, but so far she’s been real good at just kind of raising her game and you know that she’s alert and ready to do something. Danzing Candy, I don’t know if he may have snuck up on some folks in the San Felipe. I guess that was his third win in a row but did other people kind of find out maybe what you guys already knew, that this horse is kind of special? I think so. I think so. I mean what’s the difference between him and her in the morning anyway is he’s just not nearly as flashy as she is. He’s not into his works near as much. He’s more laid back, kind of wanting to play around a little bit and hang on a horse and not really leave his company at times. But in the afternoon, he’s totally different. I mean he’s just dominated in the afternoon. So as long as he keeps doing that in the afternoon I ain’t going to worry about that morning too much. But I mean don’t go out there in the morning and watch him work and think you’re going to see a Derby winner; he probably wouldn’t impress you a whole lot to be honest with you. But when he gets over there in the afternoon, I mean it’s a total different game and I like that. He’s pretty easy on himself in the morning. Mike, I appreciate your time, man. I certainly wish you the best of luck. Thank you. Once again, ladies and gentlemen, if you do have a question please press star, one at this time. The next question comes from Tim Wilkin of Albany Times-Union. Please go ahead. Hey Mike, I’m sure you’ve been asked this question more than once, so I’m going to ask it again. Does part of you wish that Songbird was running against the boys in the Triple Crown races? You know, you would think I would probably say yes, you would think, but I’m just so happy to be a part of her however she runs. As long as I’m on her, I’m pretty happy and I’m content with it. I think there might be a time down the road maybe if we try older horse and I’d like to try older horses with her, and maybe not. There’s nothing wrong with beating your own gender and hopefully racking up as many wins as you can, you know, before you do face them. But as far as her ability and do I think she can compete and beat the boys? Without a doubt. Is she different than any of the other great fillies you’ve ridden? I know that it’s early in her career, like you mentioned before, but does she have anything—does she do anything differently that the others might now have done, even though that sounds crazy to say? It’s a difficult question to be honest with you. I’ll tell what the difference between her and the others is how early she’s doing it. Does that mean she’ll continue to grow and get even better? That’s even scary to even think about, to be honest with you, but I just haven’t been on one that’s been this smart and this ready to run at such a young age. I mean she knows what she’s doing. You walk her out there right now and she knows the difference between the morning and the afternoon, when she’s supposed to turn it on and when she’s not. She’s had things figured out at a very young age and that’s kind of the difference between them, where a lot of them didn’t start getting really smart about running even though they’d win a race or something until later on in their 3-year-old year or 4-year-old year and they became who they were, but she got things at a young, young age that is scary. Mike, I’m sorry this might be a variation of what you’ve been asked before but I read that the owners of Songbird didn’t want to run her. They said they didn’t want to run her in the Santa Anita Derby because if they won that they’d have to run in the Kentucky Derby and if they won that they’d be obligated to go to the Preakness and then maybe to the Belmont. If she comes out of the—has there been any discussion that if she comes out of the Oaks good that the Preakness would be an option like it was with Rachel Alexandra? Honestly, I haven’t heard that, haven’t talked to them about that. Right now we’re just going race by race and we’re all excited about this one coming up and I haven’t talked to Mr. Porter or any of them about what their plans are after the Oaks. Hopefully we can get there and compete very well there and think worry about stuff like that I guess down the road. All right. Then one other question. Has there ever been a moment when she was seriously challenged? I know that the races all wound up easy but was there any time—you talked about the race against the Baffert filly when you really knew you had something. Has there been any other time where you thought, “Wow, I gotta do something here,”? No, there hasn’t. That’s what’s scary about it. I mean honestly, there hasn’t been a place. I mean there’s been a time or two I’ve let her run but it’s basically just asking her to pick it up and she picks it up and then that’s all I’ve had to do. I haven’t ever had to continue to ask her for more or think, “Wow, is somebody going to come late and get us?” I mean she’s literally just towing me around there when I ask her to pick it up. I mean it’s what’s so crazy about how good she is right now is that I’ve honestly—and these are a lot of races that are Grade 1. I mean people were saying, “Well, you beat the same filly over and over again a few times,” with the Doug O’Neill filly, and then she goes down to New Orleans and she wins the Oaks by five. I mean that kind of even said a lot for her as well. All right, Mike. Before we wrap up I’d just like you to try if you could to put this filly into a larger context in the sense that here’s a rider who has seemingly done it all and won everything you can win. What’s it like at this point in your career to come across a filly that’s doing things that you haven’t experienced before as far as being a 3-year-old filly that you’ve never felt this kind of intelligence from and flashiness? How exciting is it for you at this point in your career? Trying to put it into words that you could think about, I mean to be honest with you when I’ve thought this before it’s been I’ve been so blessed and to have ridden so many great fillies and when one’s over with, I thought when Azeri retired I thought that I’ll never see another Azeri. Then when Zenyatta came around you’d never think you’d ever see something like her again. I mean I’m not putting her in that spot yet but here comes a filly like this that just jumps up and does everything at two and three so far with such dominance, it’s pretty incredible, man. I just pinch myself that I get to be the guy that gets to sit on top of them. I don’t know what it is but I’ve been very blessed to have ridden some great, great fillies and hopefully we’ll continue to do well and keep it going and see how far we can do it. Very good. Well, I think that’s a good place to leave it. I got close to undefeated once before, getting beat that last time with Zenyatta. It would be nice to see what this mare goes on and does, you know? All right. You’ve got six down so you’re part of the way there. Yes. She’s got a way to go now to get to Zenyatta. Don’t get me wrong, she’s got quite a bit to do but I think if anyone can do it she certainly has the ability and the mind to maybe pull something like that off. Terrific. Well Mike, it’s such a joy to watch her run and also to see you on top of her. Best of luck on Saturday and not just with Songbird but Danzing Candy as well. We’ll look forward to talking to you more down the road. Sounds great. Thanks for having me on. All right. Mike Smith, the Hall of Fame rider who’s got two big chances on Saturday with Songbird, Danzing Candy and I’m sure we’ll be seeing him here in Kentucky five weeks after that. That wraps up today’s call. Thanks everybody for joining us, not only Mike but also Dale Romans and Chad Brown. Just a great lineup today, lots of great information from some great talkers, and we appreciate all of you coming on and asking questions as well, keeping the conversation going. There will be an audio file of this call on our website tomorrow as well as a transcript, and as always, let me know or Joan Lawrence if there’s anything we can do for you. We’ll be back next week with an Arkansas Derby preview and then after that we’ll take a couple of weeks off and prepare for the Triple Crown.